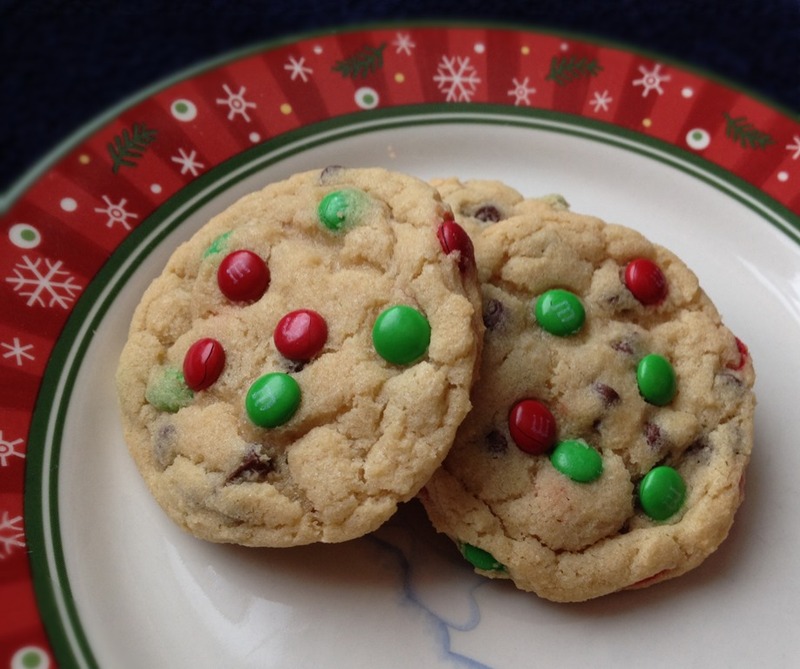 Chewy delicious cookies made festive for the Christmas season. I made these cookies with M&M’s designed for baking called “M&M’s Christmas Baking Bits” which are smaller than regular sized M&M’s. The mini-sized candies are less likely to split when baked. In a medium bowl, mix together flour, cornstarch, baking powder, baking soda and salt. Beat into butter mixture. Set aside 1/4 cup of the M&M’s. Stir remaining M&M’s and chocolate chips into the dough. Drop by tablespoonsful onto baking sheets. Press a few of the reserved M&M’s into the top of each cookie ball. Bake for 8-10 minutes. Cool on wire racks. Kelly, I made your chocolate chip cookies bars, and they are the best! It will be my new best cookie recipe from now on. What a difference melting the butter makes…..thanks for sharing. I am glad that you liked them. Have a Merry Christmas!